I'm finally back in dearest hometown , KK once again and this time to celebrate the elder brother's wedding. Don't ask me about mine as I don't feel like settling down…yet. Well, let's talk about other stuff for today. :p I was part of the media members to join Lux for its beauty media trip to Melaka last week and it was really a great and scentsational trip ever! We gathered at the Menara ™ as meeting point and were welcomed with first goodie bag upon entering the coach. It was really sweet and thoughtful of the PRs for prepared all the basic "survival" kit for all of us, there were a 2 pouches contained Vaseline body lotion, vaseline lip balm, Sunsilk shampoo & conditioner, Dove deodorant and LUX body wash! Both Uni and I decided to just sleep during the 2-hours journey to Melaka to compensate our lack of beauty sleep the night before. Upon arriving, we were well welcomed by the staffs at Casa del Rio and another goodie bag for us! We were each given cold towel and ginger-lemon shaved ice to refresh ourselves. What's inside the second goodie bag? There's another bottle of LUX body wash together with silk bathrobe, towel and body scrubber. We were all given the key card for our very own hotel room together with the appointment card for our spa session! Yes, they have pre-booked our spa session, oh-so-nice! The room was really spacious and luxurious completed with all the amenities and balcony too! I shall talk about the room in my next post. After I done with all the unpacking and took a short rest before head to the Satkara Spa for the spa session that have been arranged for us. Let's move on the main spotlight event of the night. It was started with welcome speech by the emcee Naz and followed with speeches by Ms Tanya Teng, Brand Manager of Unilever. "In order to continue to inspire millions of women who have come to trust Lux for their daily cleansing and beauty needs, we collaborated with some of the top perfumers in the world such as Ann Gottlieb. Ann has created among the most recognised and celebrated scents in the world such as Obsession, CK One and Eternity for Calvin Klein, Marc Jacobs "Daisy" and Christian Dior "J'Adore". LUX customers can enjoy every bath knowing that the lingering scent that stay with them long after their bath is created by a world renowned perfumer. 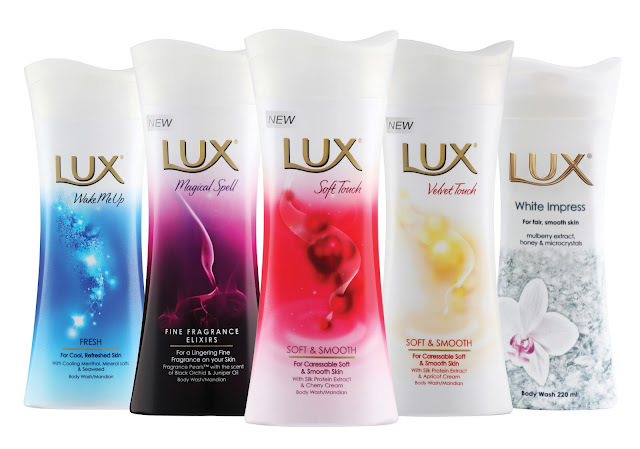 Lux evokes yours senses and provides exceptional pleasure to your bathing and skincare experience. This is something that is unique to Lux" said Tanya. Inspired by strawberry fields, Soft Touch is composed to convey an irresistibly soft and sensual feeling, blending indulgent florals with some fresh fruity notes. The rich floral bouquet is contrasted with the sparkling fruity fizzy notes of strawberry and passion fruit. Caramel and vanilla complete this creative scent. 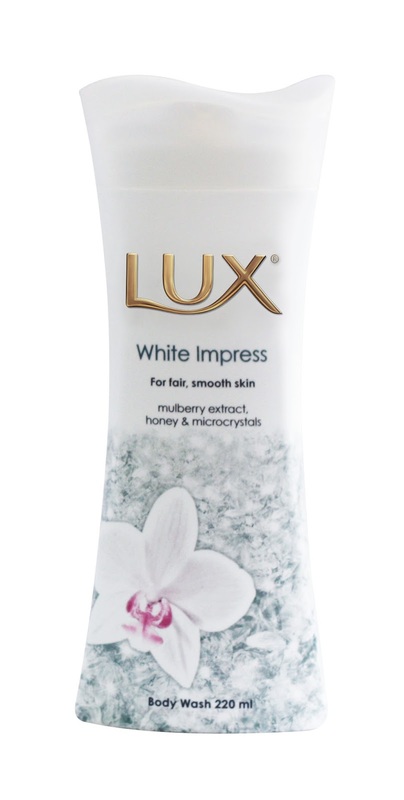 Lux Soft Touch forms a light creamy layer on the skin which will leave your skin feeling soft, smooth and moisturised. Velvet Touch gives you a pure lingering fresh tip note of sparkling citrus, clean aldehydes and apple. The elegant scent is up-lifted by muguet and jasmine and enriched with creamy peach. The fragrance ends with powdery, woody and ambery notes to connote a warm sensuality. Lux Velvet Touch is guaranteed to leave your skin feeling soft and silky smooth after each bath. This fragrance embodies the graceful charm of Lily of the Valley, transparent rose and jasmine petals combined with a sparkling fruity ensemble that greets your olfactive palette with sheer orchard freshness while leaving a scent trail of comforting musk, amber and white vanilla . Lux White Impress is the perfect choice for those who wish to achieve beautiful fair skin as the body wash exfoliates, whitens and moisturises at the same time. A complex blend of eight mystical ingredients, the Magical Spell body wash is guaranteed to create a sensorial explosion. The complex fragrance has a romantic and sensual floral heart with a key note of rare black orchid. A captivating blend of juniper oil, dark woods, golden amber and vanilla bean are expertly layered on top producing a fine fragrance that lasts. These fine exotic ingredients are extracted at the peak of their bloom and embraced into exquisite Fragrance Pearl ™ , giving you an intoxicating scent that lingers long after you step our of the shower. The launching ceremony of Lux body washes also took place on that night. We were not only enjoying our buffet dinner but also entertained with dance performance at that night. Prize giving ceremony for Instant Glamour Photo and Best Dressed by Nur Fazura. It was kinda unexpected winning for me to win the Best Dressed Award and that made me happier girl at that night!